Do you suffer from vertigo? If yes, go away from this. This is not for you. This is only for crazy people loving the wild sensation of the wind blowing around them while leaning over the dizzy void. 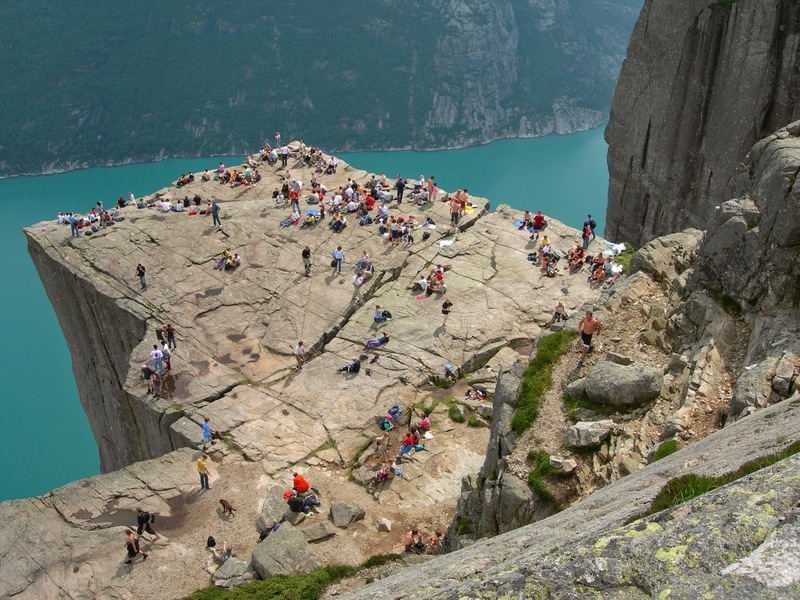 And this has a name: Preikestolen. Norway. And you know that Norway is the other name of fjord, mountains and beautiful landscapes (and Opera house, too). 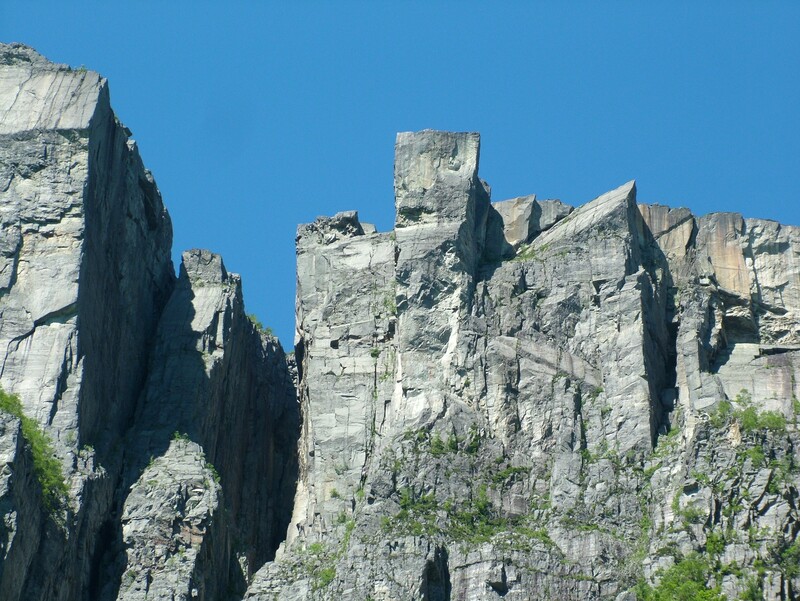 This place is also called the Pulpit Rock. Guess why. 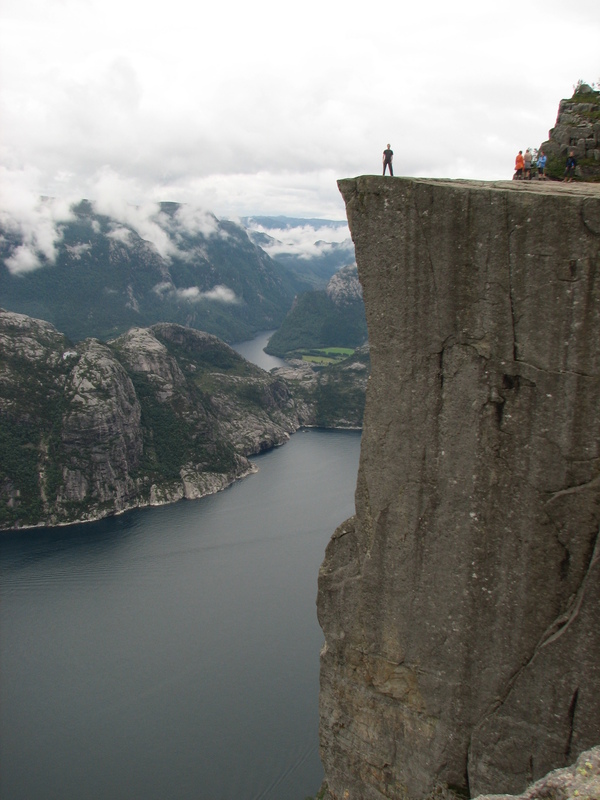 The amazingly steep cliff is about 604 meters above the water of the Lysefjord. It’s a large flat granite plateau. 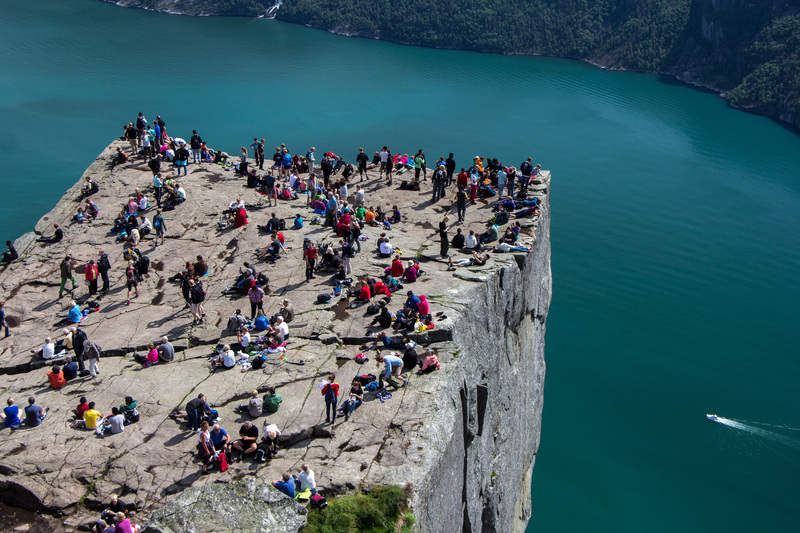 You wont be lonely, because around 200 000 people are visiting Pulpit Rock each year. It’s not far from the city of Stavanger, located in the south of the country. Not so hard to go there. And what you’ll see and live on the top of the rock exceeds all what you can imagine. 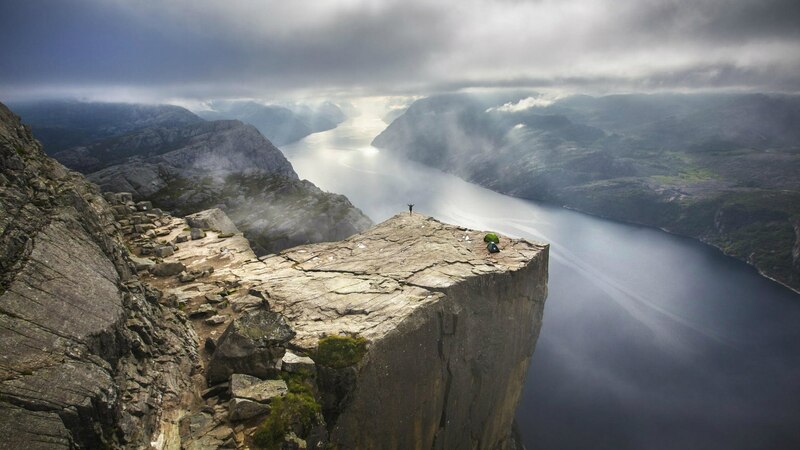 Preikestolen, view from Lysefjorden, Norway. Photo: Clemensfranz. 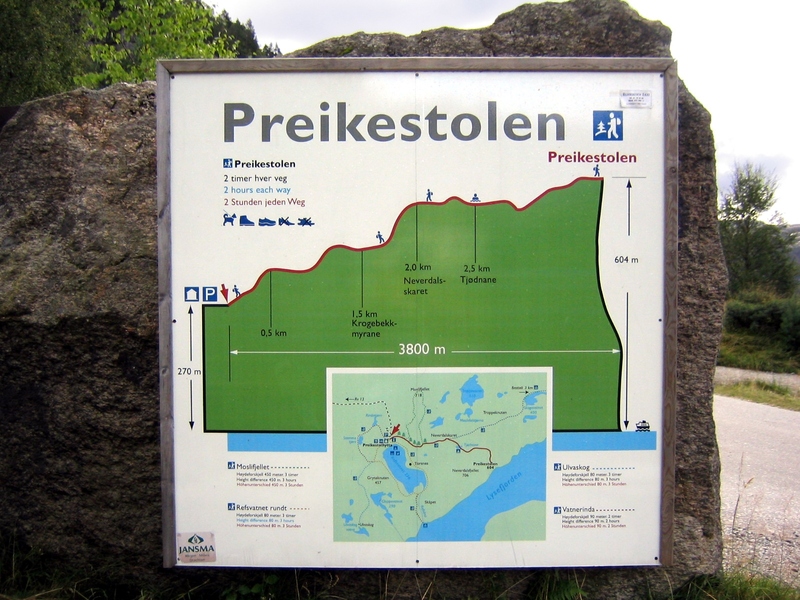 Preikestolen hiking map, Norway. Photo: Aconcagua. So, ready for a base jump session?